The coffin is made from oak with pegged fastenings. Photo Credit: YAT. 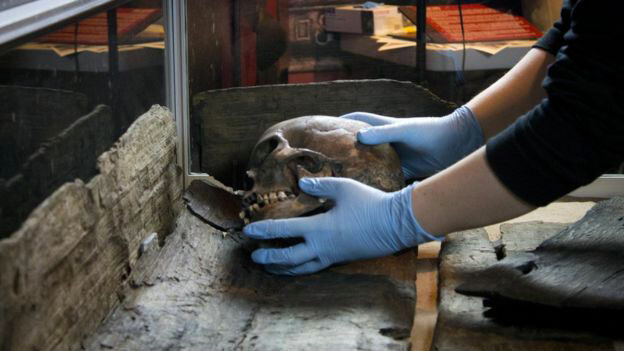 An extremely rare skeletal find joins the displays at JORVIK Viking Centre this month. 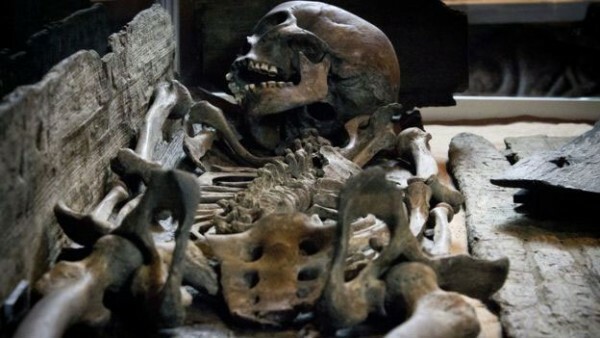 It is the first time one of the Swinegate skeletons, uncovered during archaeological excavations in 1990, goes on public display. The female skeleton was found as part of a larger excavation in the Swinegate area of York by York Archaeological Trust (YAT) which took place in late 1989 and early 1990. The dig explored the churchyard of the lost church of St Benet, which stood on the site from around the 8th to the early 14thcentury. Over 100 burials were discovered at the site, several of which date from the period of York’s Viking occupation, between AD 866 and AD 1066. 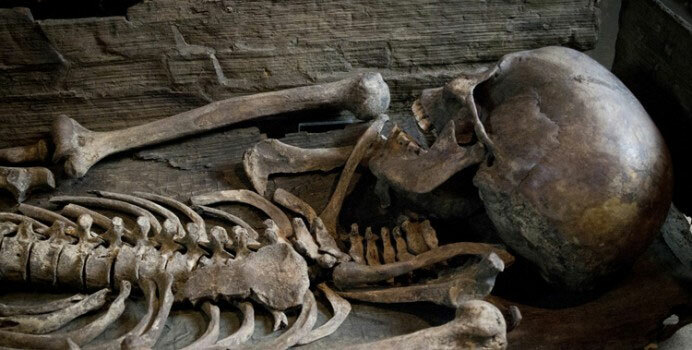 The skeleton on display is thought to date from the late Viking period, possibly a woman who was alive during the reign of King Canute, who took the English throne 999 years ago in 1016. What makes the Swinegate finds unusual is that many of the timber coffins in which the bodies were buried remain largely intact.